I did not know these details of Trotsky’s demise, Tom. Thanks for the historical background and very interesting book review. Thanks, Russell. I didn’t know much about him, either. Before I lived in Mexico City, I knew Trotsky was the basis for Snowball in “Animal Farm” but that was about it. If you want to take a really deep dive into the historical details, this book is the one to read. 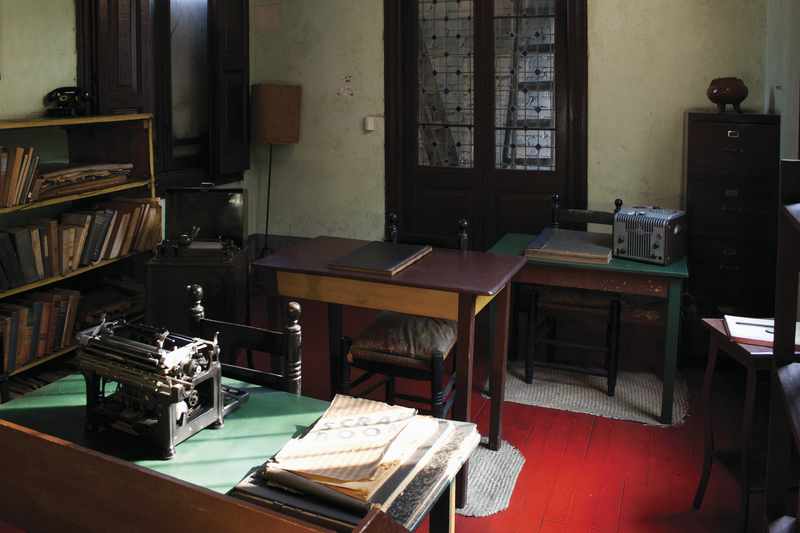 Both Cuba and Trotsky are both fascinating and enigmatic subjects. Your review captures both of them with your usual polished economy of words. I loved the remark about “the oppressive atmosphere of the place” you experienced at Trotsky’s sanctuary in Mexico as it sums up how Trotsky must have felt moving from the winters of Russia to the heat of Mexico, from being a revolutionary hero to a political refuge on the run. The last line of your review is insightful, and makes me wonder if Padura is really reiterating the ideals of the Cuban revolution or merely “playing the game” to by pass the censors. As in the writings of those who live under dictatorial regimes (Mo Yan is another contemporary writer who comes to mind), we may never find out. Thanks, Bhupinder. With your interest in 20th Century Russia and Latin American literature, I think you would really enjoy this book. Although you may already know much of the history within it. I have Mo Yan on the list! I’m going to Mexico City for the first time next month so I found this particularly interesting. Is it worth going to the museum during a first visit to the city? You will love Mexico City! Yes, if you can, go see Frida Kahlo’s Casa Azul and the Trotsky Museum together. They are very near each other in Coyoacán, which also has a beautiful little 16th Century Churrigueresque chapel on a tiny plaza named Chimalistác. I’m jealous! 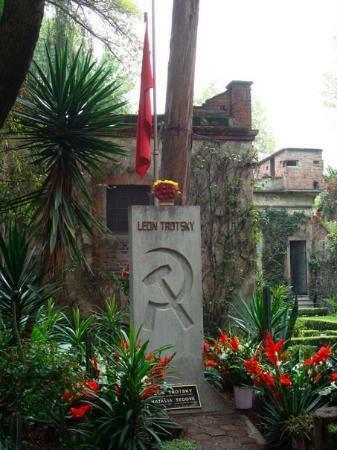 Trotsky’s. Great to know! I will also visit the little chapel too, thanks. I will think of you when I’m there! As ever, another fine book to add to my collection. I like that you highlight quality books that are not well known in this part of the world. I don’t know enough about Trotsky so I am looking forward to getting into this and appreciating the ten years research. Thanks, SteJ. This book really brings Trotsky to life, and what I didn’t mention in the review is that Padura’s writing style makes reading the historical information relatively easy. It’s almost like reading a novelistic biography of the two men. I picked this book up last week on your recommendation and now I have a few days off I should be able to add to the 138 pages I managed last week. So far it’s a fascinating read and once again blogging recommendations prove better than any other media suggestions for books. Glad to hear you are enjoying it. It’s got a lot of historical info wrapped up in the story, maybe too much for some readers, but I sure enjoyed it. Thanks, Britt. You have to be ready for a history lesson with this one, but it never bogs down, despite the details it contains. It’s always interesting how some books catch the interest of the blogosphere and get reviewed and reviewed here, despite being passed over by much of the mainstream media. 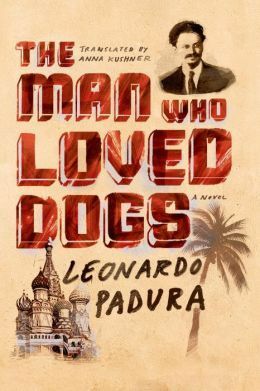 I suspect that your post on the Man Who Loved Dogs is the Ur-post that got the ball rolling. I finally got round to reading this novel myself and I thought it was excellent, though one that is best read on an e-reader due to its epic size! Thanks, Alastair. I’m glad you enjoyed it too. I have been meaning to read more of Padura, so your comment is a good nudge.